Putien has been around for quite sometimes and is among one of the top Chinese chain restaurants where family tends to gather around for meals. It was mum's birthday and nothing beats having a meal that reminds her of her dialect group, Xing Hua which Putien is absolutely known for. Interior decors flashed out a luxurious and modern Chinese restaurant with ample of seating. 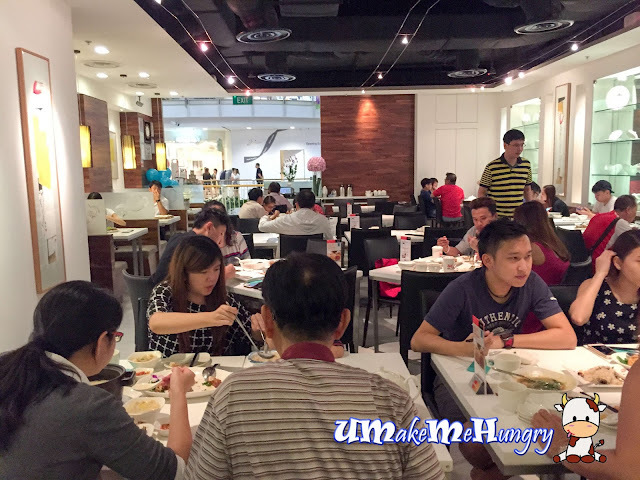 Family Set at $68 ++ for two was a fuss free option where you can enjoy a value meal with Starters, Main Course, side dishes, Dessert and Fruits. Starting with Seaweed with Mini Shrimps where by seaweed were tossed with their quality mini shrimps imported from the South China Sea region. 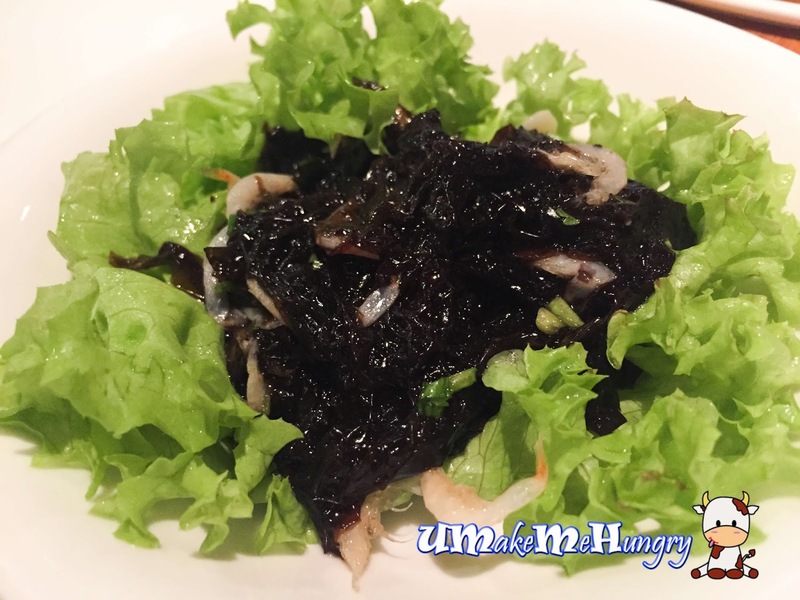 The texture of the seaweed was very inviting and delighting, giving a refreshing kick off to the set of 2. 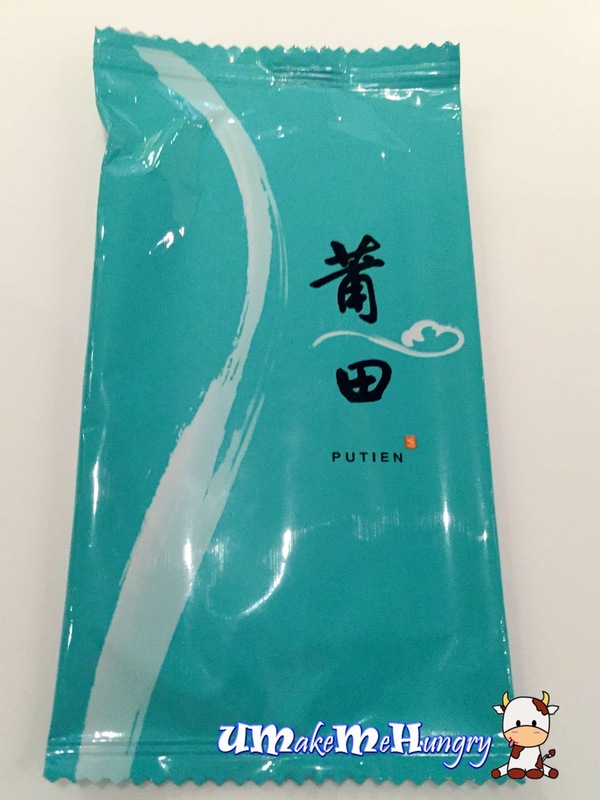 Braised Bean Curd is one of Putien's specialties and was also a perfect choice for a start as it was soft and full of flavour. It tasted on a mixture of sweet and salty side, friendly to the gums of the folks. Out of the 4 main dishes, we had chosen Ma Zu Mee Sua. Symbolizing longevity, their long Mee Sua was handmade traditionally with their unique method. Premium quality ingredients were used in the production of Mee Sua thus even how moist the gravy was, it did not turn them into a soggy dish. Crispy pork ribs and water chestnuts had hit the right notes. They were coated with mouth watering sweet & sour sauce. I like it best especially when the chestnuts were so crunchy and pork ribs were notably tender. Beverages were only served halfway through our dinner. 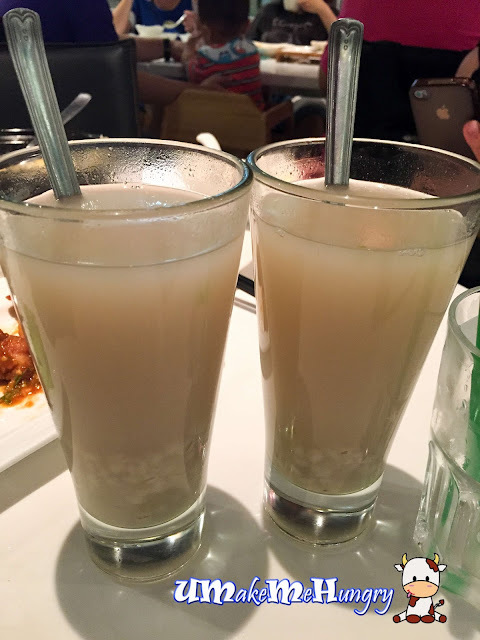 The homemade Barley's sweetness was mild even with winter-melon added. Instead of seeing the whole long pieces of winter melon in the drink, it was being cut into bits form easily for diners. Specially flew in from the habitat, the “100-Second” Stewed Yellow Croaker was stewed precisely at 100 seconds with ginger. It was a healthy dish in fact on top of being fresh and tender. 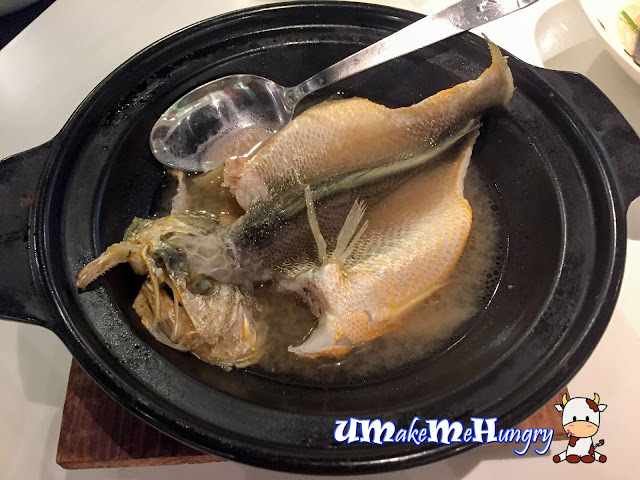 For 2 pax meal, each of us was served with a fish in the claypot. Dessert of the day was fixed by the chef. However we asked if we could change to our choices and they had agreed. 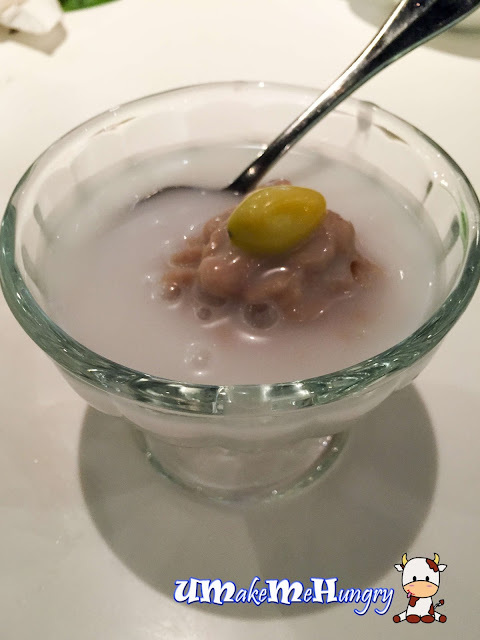 Hot Yam Paste with Ginkgo Nuts was served with the right level of sweetness. 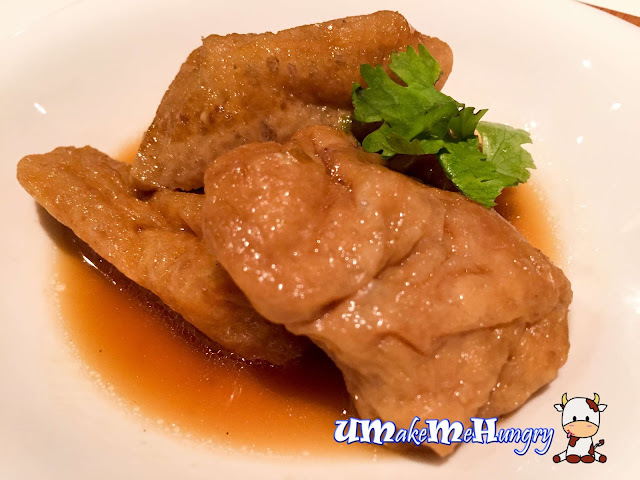 Smooth yam paste with a few gingko nuts and with coconut milk in the right amount. 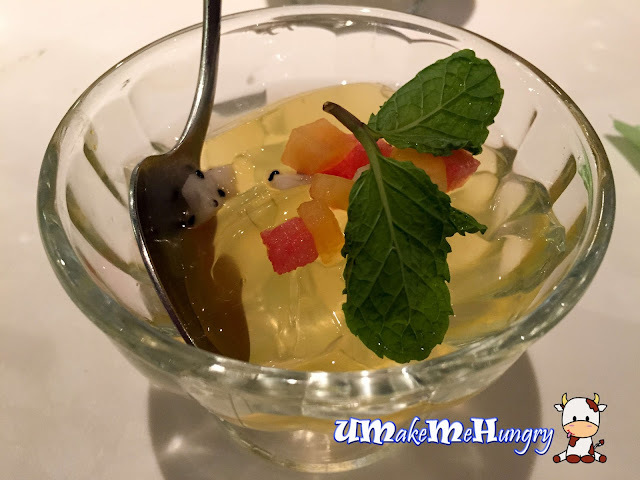 While I got myself a Chilled Lemongrass Jelly with Fruits in which the lemon grass flavours was not too overpowering, in fact the scent was light with tiny bits of Fruits and wobbly jelly. Desserts did not mark an end to our meal but the fruit platter does. 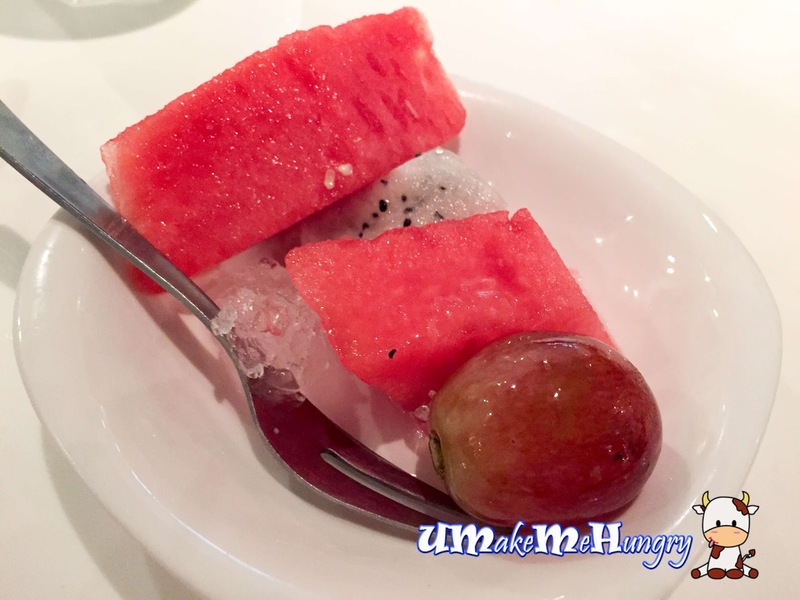 A platter with watermelon, dragon fruit and big grape was served chilled with ice by the side. Service as a whole was sincere and friendly. Staff were pretty on the ball and responsive. After taxes together with drinks included, it cost about $88 for 2 pax without the appetizers and wet towel. I don't mind returning to Putien for her food again for occasion.